Flows can span multiple systems, such as POP, IMAP, Application Servers, and Database Servers. A flow can run an approval process, check or send email, handle an incident, or turn on a server. To ensure a flow runs without errors, debugging is highly recommended throughout all of the development stages. You can view how a flow transforms data using the Flow Debugger , which can be accessed from the Flow Designer . Because the debugger runs flows with additional processes to display contextual data for developers, the debugger should not be a used as a means for gauging a flow’s performance. If you would like to analyze how quickly a flow is performing and which steps may be producing bottlenecks, see our article on Troubleshooting Using the Profiler . In this example we will use a project that was previously created. The following flow allows a user to search and filter a list of accounts that exist in their install of Decisions. If an account or string of text is entered then, a list containing the account/string is returned. If an account is not searched for then, a full list of all the accounts, within their install, is returned. To begin the debugging process, we click the Debug Flow	link at the top of the Flow Designer . Inside of the Flow	Debugger	there are 3 tabs that can be used for debugging; FLOW, Debug Report Page, and an Execution Dashboard. 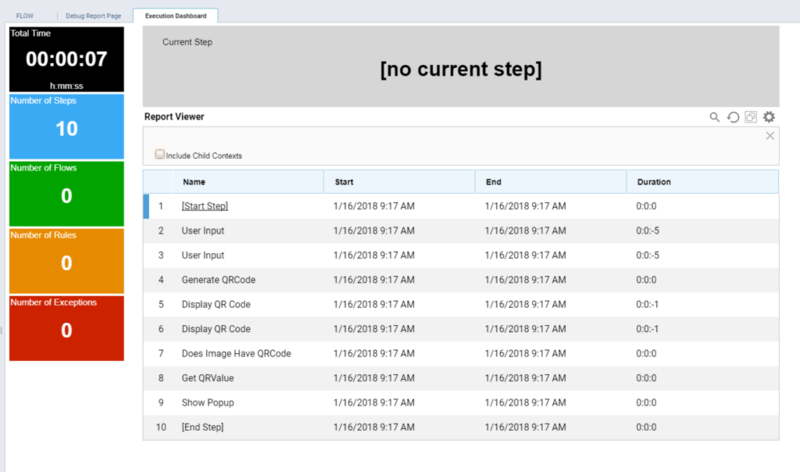 Clicking on various steps within the flow gives you the ability to view that particular step&apos;s input data, output data, and step info. Selecting the play button on the bottom right of the page allows you to see the flow run in real time. 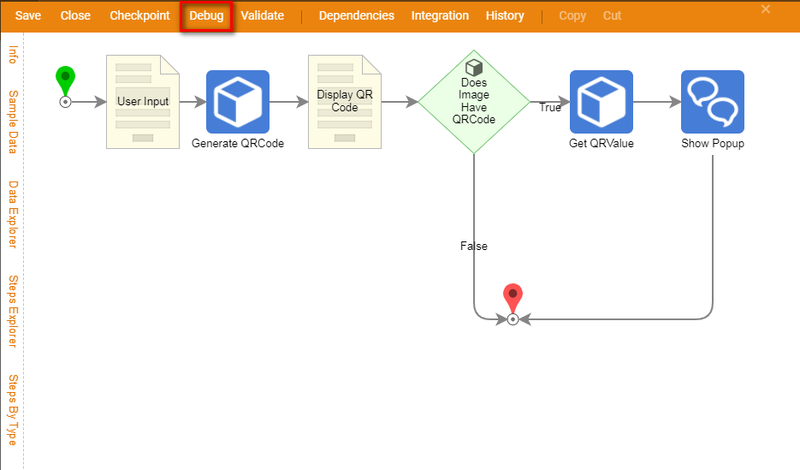 The Debug Report Page	provides a simpler and cleaner report of the steps within this flow. The difference between the Step Executions Page	and the Debug Report Page	is that a user does not have the option to change report types. 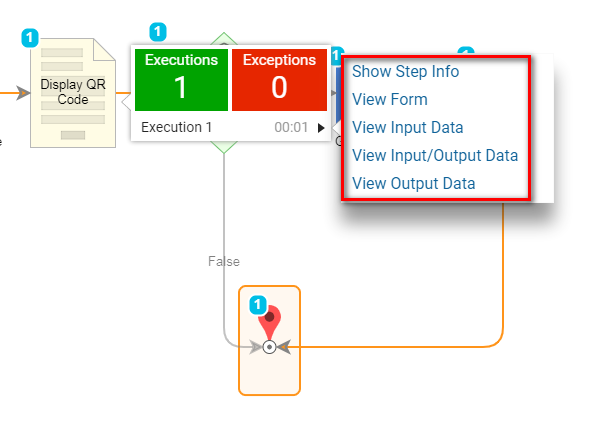 The Execution Dashboard	provides a user with a snapshot of the executed flow. The tiles on the left hand side provide key information like total execution time, number of steps, number of flows, number of rules, and exceptions. You also have the ability to view different types of reports on this dashboard by clicking the Change Report	link.